There has been a pier or jetty in Cromer since 1391. Letters granting the right to levy duties for repairs suggest that attempts at maintenance seem to have gone on until 1580. In 1582, Queen Elizabeth I granted the right to the inhabitants of Cromer to export wheat, barley and malt for the maintenance of their town and towards the rebuilding of the pier. A 210 foot jetty was built in 1822 but was washed away in 1843 to be replaced, two years later, with a 240 foot structure. The last wooden jetty was built in 1846 and, described as a “plain wooden structure”, was just 70 yards long. By night, it was regulated by several bylaws: for instance, smoking was only allowed after the hour of nine o’clock when ladies would be expected to have retired for the evening. This lasted until 1890 when it too was destroyed by heavy seas so much so that it had to be dismantled and Cromer was left without a pier. The remains were sold at auction for £40. A 500 foot iron pier, the inspired work of a London engineering firm, Douglass and Arnott, replaced the second jetty. It opened on 8 June 1901, having cost £17,000. A bandstand was erected at the head. This was extended in 1905 to form a pavilion. Sectioned in 1940 for defence purposes, the gap was bridged with planks to allow the lifeboat station to be reached (lifeboats have been stationed here since 1923). The pier was damaged by storms in 1949, 1953, 1976 and 1978. In 1985, a new tide gauge was fitted by Shell Expro to assist with their offshore survey operations in the North Sea. In February 1990, gales destroyed the amusement arcade and, on the 14th of November 1993, a 100 ton rig crashed into the pier, isolating the theatre and lifeboat station. Repairs were made in time for the 1994 season. Major reconstruction work has been carried out since 1993 by contractors Dossor East (first winners of the National Piers Society’s ‘Peter Mason Award’ for engineering excellence. In 1997, the old lifeboat house and launching ramp were temporarily removed. The pier pavilion was reopened by actor Stephen Fry on the 27th June 2004, but was damaged by a storm early in the following year. In February 2012, it was announced that £8m of work was set to begin on revamping Cromer pier and the town’s Victorian sea defences. At that time, Cromer was served by two railway companies: the ‘Great Eastern’ and the ‘Midland and Great Northern’. The great rivalry between the railway companies meant that any official occasion in the town gave them the excuse to bring dignitaries from near and far. And so it was with the official opening of the pier. The ‘Great Eastern’ brought dignitaries and members of the press from London while the ‘Midland and Great Northern’ ferried VIPs from as far afield as Birmingham and Bradford. 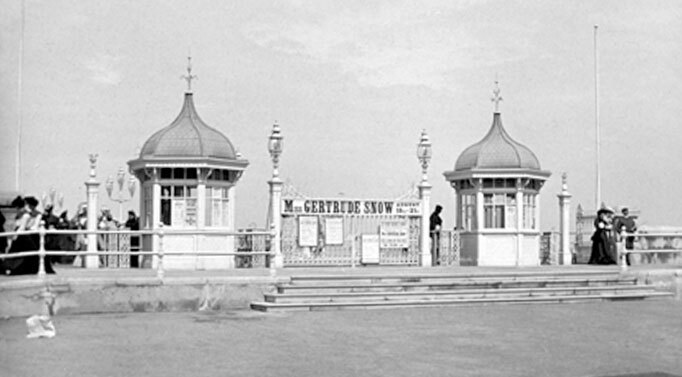 The ‘Blue Viennese Band’ played in the bandstand and the brochure assured visitors that ‘here, while the season lasts, strains of charming music will be constantly heard.’ In 1905, the bandstand was covered to form an enclosed pavilion and the following season the first ‘concert parties’ performed. 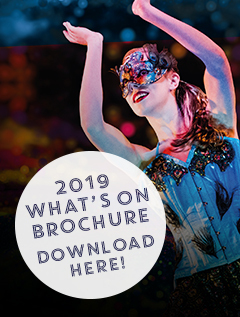 Throughout the 1920s and 1930s, the ‘Cromer Protection Commission’ was responsible for selecting the concert parties at the pavilion, and toured the south coast looking at potential shows. In 1936, one of the Pavilion’s most famous shows first appeared: Ronnie Brandon’s ‘Out The Blue’. At the outbreak of World War II, the Royal Engineers removed the middle section of the pier and shows ceased for the duration of hostilities. After the war, Cromer Council advertised in ‘The Stage’ for concert parties to provide shows to cover a fourteen-week season. In 1953, devastating gales demolished the pavilion and wrecked the pier. The government of the day granted compensation for the rebuilding of the pavilion and the new theatre was ready in time for the 1955 season. Cromer Prospect is a permanent installation on the Cromer Seafront promenade to celebrate 200 years of Cromer’s lifeboats, featuring atmospheric lighting that brings the seafront alive at night. Managed by Commissions East on behalf of North Norfolk District Council and supported by Lottery funding through the Arts Council England, East this incredible installation features twenty-four up-lit granite ‘standing stones’ positioned in an arc looking out to sea and pointing in the direction of a rescue by a named boat. These are surrounded by flint pebble walls up-lit with brush strokes of soft, coloured light. ACT provided the technical interpretation and design of this concept. David Ward, Cromer Prospect lead artist, has worked with many people on a permanent installation that celebrates the town’s principal lifeboats set in Cromer Pier’s forecourt. Twenty-four granite stones, each one representing a lifeboat, have been set along lines looking out to sea, pointing in the direction of rescue missions. The scheme has been developed by landscape designer, Shaun Ruffles. In 1978, the seating capacity was reduced to 440 and a new café, bar and foyer were built. At the same time, a partnership with Richard Condon was formed. 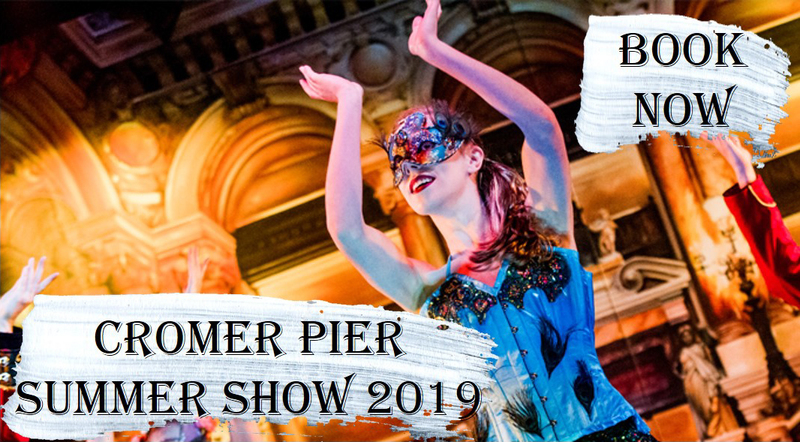 From this partnership, the ‘Seaside Special’ was created and, as all regular visitors to Cromer and the Pavilion Theatre will know, the show has gone from strength to strength winning the ‘Pier of the Year’ award in 2000. In 2001, a new partnership was formed between North Norfolk District Council and Openwide International. This partnership has grown in strength with a major part of this focusing on ways to extend the season and increase economic growth for the Pier and Cromer. 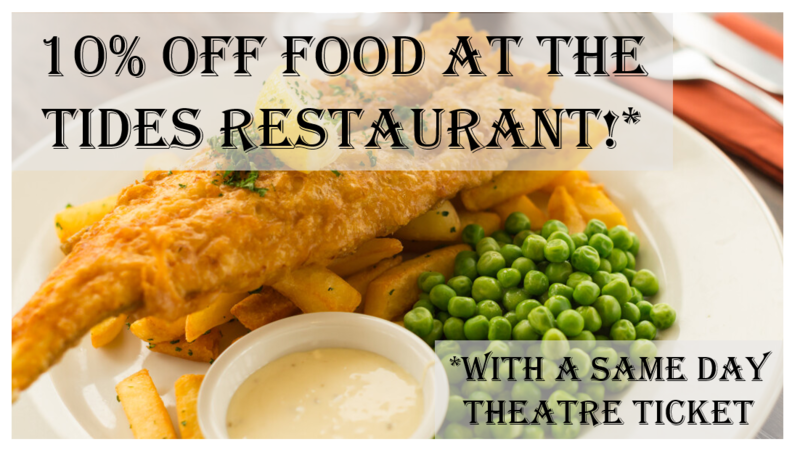 In 2004, further redevelopment increased the seating capacity of the theatre to 510, and added a restaurant called ‘Tides’, boasting the best views in town, a shop, and a superb new theatre bar. 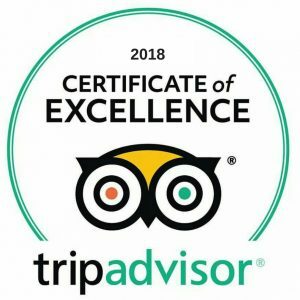 Now the Pier, the Pavilion Theatre, Pavilion Bar, Gift Shop and Tides Restaurant look forward with enthusiasm to other new and exciting chapters in this rich history… and look back with proud and fond memories.